“You are going bald!” “Have you tried these hair supplements?” “I’ve been taking this and you should try too!” If you have been losing your hair for quite some time now, these are probably some of the most common comments and advices you’ll hear from your friends and families from time to time. 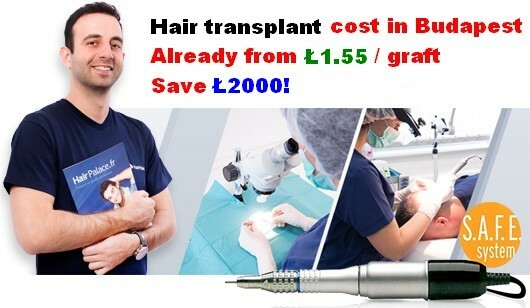 That is simply because a good majority of people opt for vitamins and minerals for treating hair loss instead of more potent and invasive alternatives like prescription drugs and hair transplant surgery. 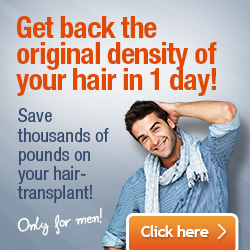 The market is flooded with a huge range of hair supplements specifically blended for tackling hair loss. Products like Provillus and Phyto Phytophanere Dietary Supplement are examples of such treatments that bank on using vitamins, minerals and herbal sources for treating hair loss. While many people put their hopes on these treatments, the main question remains, whether are these hair supplements effective enough to change the course of hair loss? Do You Need Hair Supplements? These conditions often lead to poor physical and mental health and that will eventually deplete your body’s vital nutrient reservoir. Lacking sufficient balance of nutrients will directly affect your hair follicles’ ability to grow normally and if you are facing with any of these conditions, then your answer should be a YES, you need them. Your hair follicles are very sensitive organs that react to the slightest distress from your body. A minor negative shift can affect hair growth and can even lead to hair loss. Therefore, to keep your hair at its optimum performance, it’s important to make sure that your body nutrients are well balanced. A common mistake that most people make is that they do not evaluate their health status first before considering on what supplements they will need for their hair. 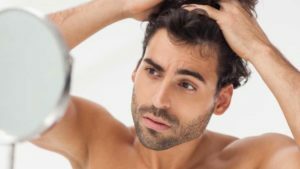 They often follow the recommendations of hair loss marketers and what people tell them which can be dangerous because even vitamin supplements taken at large doses can lead to many side effects not to mention triggering more hair loss. A key point to remember is “Your hair is a reflection of your health” So don’t look at the top only, you’ve got to make sure the whole of you is in top shape as well. It’s imperative that you understand your health status and know what hair supplements that will be beneficial for both hair and health. Let’s start with understanding nutrition and common nutritional issues that affects the hair. To know better how each type of these nutrients can benefit your hair’s health and whether you are suitable for them, take an in-depth look at each one of them below. Vitamin A is derived from a group of lipid soluble compounds that plays critical roles in cell differentiation and maintaining your immune system. It also acts as an effective antioxidant that can help prevent your hair follicles from free radical damage What’s Vitamin A is all about. The benefits of vitamin E for your health and hair are definitely enough for you to pay attention to it. From improving blood circulation to preventing blood clots, vitamin E also acts as a primary antioxidant. Besides that, it works wonders with your skin and hair as well. Omega 3 & 6 are the two most important essential fatty acids that your body requires to function. Deemed ‘essential’ because your body cannot manufactured them but it’s needed for survival, maintaining a balanced ratio of this fatty acid in your body plays a measurable role in regulating many of your body’s vital functions and preserving cell growth. Omega 3 & 6 and your hair and health. Amino acids are critical acid groups that are needed for sustaining life itself. It’s a principal building material of protein which is needed for normal growth, maintenance and repair. There are more than 20 types with 8 that are essential for adults. For your hair, Methionine and Cysteine are some of the most important amino acids require for strong and healthy growth. Amino acids, protein and your hair. Known as para-aminobenzoic acid, PABA is an organic compound that has been long subjected to debates on its efficacy on the hair. There are reports that say it can help restore grey hair and even boost hair growth, but there are also contradicting reports that say it does not do much at all. Some people call it a super nutrient, MSM is actually a water soluble compound that is found in all fluids of all living organism. There are many scientific studies that show that MSM can contribute to your hair’s health. MSM is also a source of sulphur that is required for the formation of keratin, the primary components of your nails and hair fibres. Deemed important as a mood nutrient, Inositol has been proven to assist in certain hair loss related neurological disorders like Trichollomania. With the help of another micronutrient known as choline, this combination is crucial for assisting in breaking down fats and reducing the risk of arteries clogging. Get more information on the mood stabilizing Inositol. Copper, Zinc, Iron, Selenium and Silica are some of the most important minerals for hair growth. Besides just taking vitamins, you must also maintain a balanced level of these essential minerals in your body to keep your hair growing optimally. While most minerals come from your diet, it’s still possible to face deficiencies.